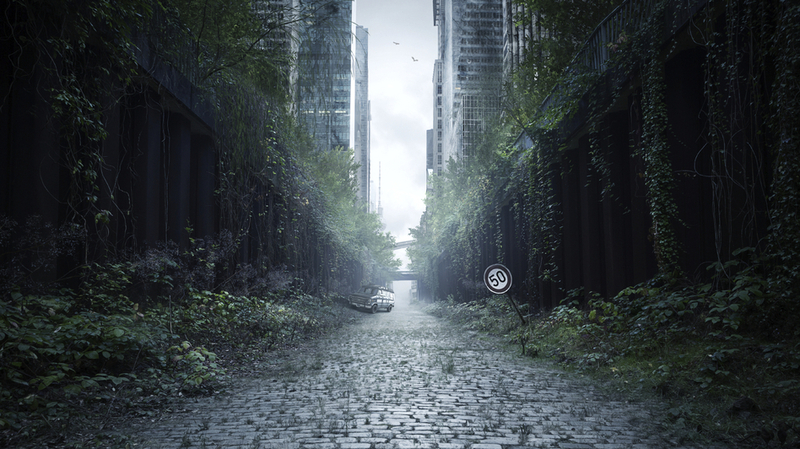 Do you like stories or movies with dystopian premise in the background? I do. It's simple. They feel extremely real and believable and reflect the very possible future of nowadays societies throughout the world. In some of those worldwide cultures this is reality now. Just check the news feed from the middle east or glimpse couple of images from devastated cities ruled by unknown people with covered faces and guns in their arms and you will understand what I am trying to say. 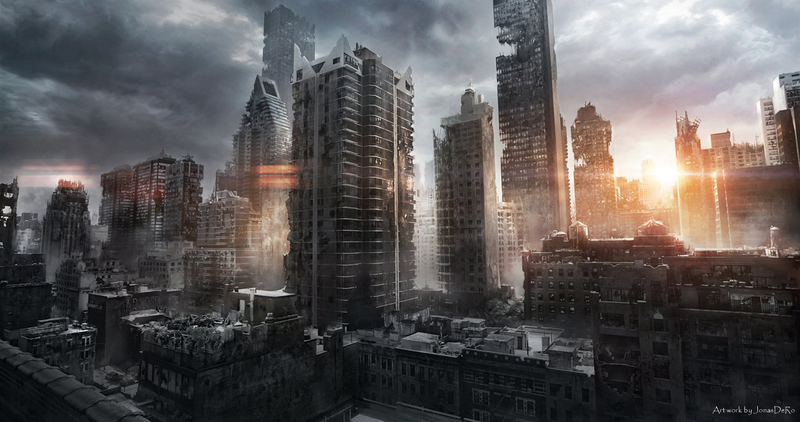 Anyway, generally and even though I maintain post-apocalyptic thread on the blog, I don't really like all those stories with zombies or vampires or pandemic virus strains capable of turning the entire human race into horror. They don't seem plausible to me for many reasons I tried to explain before*. 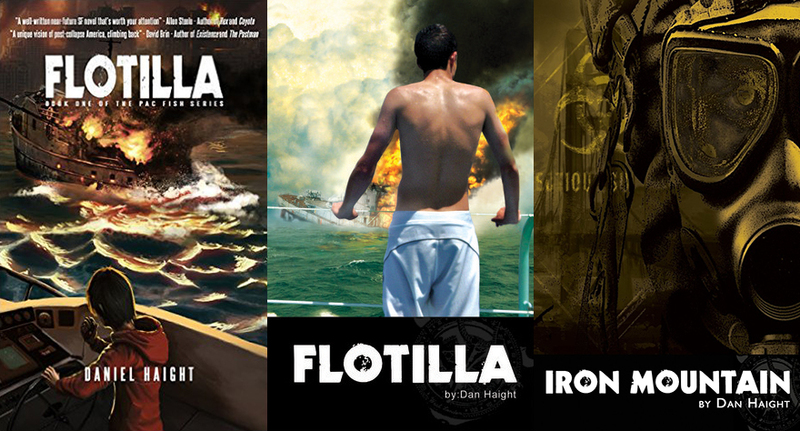 However, believable dystopia is another thing entirely and the story that perfectly represents it on multiple levels is Dan Haight's "Pac Fish" series with first book I recently read, called "Flotilla". I have yet to read the next book "Iron Mountain", so this 'review' might get its own sequel as well. However I was strongly hit with Dan's story and his invitation on NetGalley to read it and return with thoughts, so I decided to start 'reviewing' it now, while waiting for Kindle edition of "Iron Mountain". Dystopia - "an imagined place or state in which everything is unpleasant or bad, typically a totalitarian or environmentally degraded one"
Dictatorship - "a government or a social situation where one or few individuals make all the rules and decisions without input from anyone else"
Democracy - "a political system in which the group that has the most members has the power to make decisions"
More or less, all countries with their respective societies fit to one of these three. Historically and today. Of course that I recognize democracy as the most suitable solution without alternative but in the nutshell it is designed to be nothing more than just a plain rule of majority over minority. However, considering the number of voters in recent decades, the majority rule is nothing but questionable. If you check the numbers in many countries, it is more than obvious that percentage of people who actually vote is extremely low. This number is called "Voter Turnout" and if you check the data from the The International Institute for Democracy and Electoral Assistance is an intergovernmental organization, number of people who vote are around 50% (for example, the latest vote in US is with 53%, Russia with 60%, Serbia with 56%). It's evident that this extremely low number (in order to proclaim some group to be majority) of only half a people interested in voting can cause absurd results in the aftermath. For example in Serbia, where I live, demographics of people who don't vote are identified as young, intellectual, politically indifferent and highly educated while the average voter is identified as a male in his late 50ies with only high school education or lower. Political parties and their representatives are no different to their reflected voters. Every now and again you can stumble to the story or video on social media with mayors of big cities or parliament members, with questionable background and problematic oratory skills, behaving erratically. To say the least. I don't see the difference in other countries as well. Just check the rhetoric of one of presidential candidate in this year elections in US or rhetoric of speakers or various representatives in foreign affairs of countries who participate in any verbal conflict within neighboring countries or political blocks. With all this flaws of nowadays democracies and unspoken flaws of any dictatorship, visible or hidden, you don't need to be sci-fi writer to recognize all the dangers and hazards of turning any society into temporary or permanent dystopian scenario. What we saw from time to time, from 9/11 event in New York till the recent attacks in Paris and Brussels might be just a consequence of the non-perfect world we are living in and all the existing dystopian-threatening danger of one multicultural and religiously and politically divided world. Let's hope that nothing like this will happen again and that the reason will dominate the future. If not our future, then at least within the future of generations to come. But let's get back to the book and something else Dan tried to describe within the main story and also with his "Evil Plan" of reaching the best version of him - and in this case the very 'leitmotif' of the entire novel. In other words, with description of Jim's young life and what I liked the most in the book, it was how one dysfunctional family can be dangerous for the outcome of not only the children's future but also for the micro-society they all live in. First book in series, "Flotilla" is telling story about just that and with only a hint of larger level of one society meltdown. Not only that the story is written perfectly well but also every little detail in Jim's past was described to the level of fully understanding of all his actions in the present. I am also a parent and if you ask me how I understand the message from the book or how I am experiencing the parenthood, it will be summarized in this: you are not only a parent to your children. You have to be all at once - their friend, their guardian, their listener, their partner in games, their help, their teacher, their referee... It's a full time job. 24/7. The moment they are born you have to continue living your life and start living theirs in parallel. If you don't realize that, then you will have to pray or hope that your child will be like Jim. That's all I will say. Perhaps now is the time to write some closure for this post, but I think this must wait next novel in the row which will give more light to the actual post-apocalyptic event and unravel the mystery behind 'Dad', 'the mainland', 'Pac Fish', 'the pirates' who's bad and who's good guy and how all that relate to the 'mountain' made of 'iron'. One thing is for sure, I am recommending this book not only because of all parents-children tips and hints but also because of its 'realistic apocalypse' premise. Something I was hoping for it will be continued in the sequel. I really, really don't like to see any zombies or aliens or vampires or any fantasy in that one. It would spoil everything. One more thing. I think this book (and hopefully others in sequel) will stay in my Kindle's memory all the way until my son turns 15. Not many titles deserve the same destiny. This one is definitely beyond pure entertainment. Enough said. "There is scientific opinion that there is no known pandemic capable to wipe out or even decimate humanity for simple reason that some potential super-deadly viral infection that's spreading too fast and killing hosts rapidly will very soon be left with no new hosts to spread further and eventually die out before ultimate worldwide infection. On the other end, if disease evolves into spreading with low rate and killing hosts slower or just left them in heavy illness in order to prevent its own extinction, then it will give us more time to react and prevent it before it is too late. Not to mention that potential viral infection on the global scale is also subjected to random mutations that could not necessarily lead to acceleration of the original disease."